goReeves Central – The goReeves Way! Sometimes it is difficult to grasp the concepts Jesus has given us. It was just as hard for the disciples as Jesus noted on many occasions. One of those times was given in Matthew 11:12 proclaimed; “From the days of John the Baptist until now the kingdom of heaven suffers violence, and violent men take it by force.” This scripture is better translated; “From the days of John the Baptist until now the kingdom of heaven is advancing rapidly, and determined men lay hold of it.” (see Are You the Coming One?) In Luke 16:16 it says; “The Law and the Prophets were proclaimed until John; since that time the gospel of the kingdom of God has been preached, and everyone is forcing his way into it.” Today we’ll demonstrate this concept using the story of a determined man who forced his way into the kingdom of God. The blind beggar in Luke, identified as Bartimaeus in Mark 10:46, sat along the roadside petitioning passers by for money. When he realized Jesus was passing by he called out “Jesus, Son of David, have mercy on me!” Even though people told him to be quiet he kept pressing. Ignoring the crowd he yelled all the louder “Son of David, have mercy on me!” The interesting thing here is that Bartimaeus didn’t ask for sight, he asked for mercy. Because of his persistence Jesus called Bartimaeus to come to Him and asked “What do you want me to do for you?” Jesus already knew what Bartimaeus needed and He already knew what He was going to do. Jesus responded, “Recover your sight; your faith has made you well.” It took faith in Jesus for the blind man to persist resulting in a call from Jesus. Bartimaeus called on Jesus for mercy but Jesus asked what he wanted personally. The result was miraculous and, according to Jesus, Bartimaeus faith resulted in recovering his sight. But that is not the end of the story. Once Bartimaeus received his sight he followed Jesus and glorified God. That’s not all, the faith of the one who had been blind ignited the faith of others. Others were drawn to glorify God. First, Jesus was passing by. Have you ever wondered why Jesus decided to go a certain direction at a certain time? I believe it was no coincidence that Jesus passed by that particular location. He knew exactly where He was going and exactly what He was going to do. Second, Bartimaeus knew he needed something so he begged on the side of the road. The presence of Jesus passing by ignited his faith. Third, Jesus waited for Bartimaeus to persistently call on Him. How much did he desire Jesus? How big was his faith? He stopped begging for money and started begging for mercy persistently yelling louder and louder until Jesus acknowledged him. Fourth, Jesus called Bartimaeus to come. Bartimaeus had to face the people who were telling he to be quiet. He had to step out in faith to meet Jesus. Fifth, Bartimaeus was changed by the encounter with Jesus. He begged for mercy but received his sight. Sixth, after experiencing Jesus presence and the miraculous power of God, Bartimaeus followed Jesus glorifying God. Finally, Jesus presence, as he passed by, spurred Bartimaeus persistent faith which resulted in others glorifying God. 1) Jesus did not wait for Batimaeus to come to the synagogue but went out knowing where he was. 2) Jesus knew Batimaeus condition before He passed by. 3) Jesus recognized his persistence. 4) Jesus called Batimaeus to come to Him from where he was. 5) Jesus took action based on Batimaeus faith and obedience. 6) Jesus obedience to the Farther resulted in a miracle for Bartimaeus but God received the glory. 7) Bartimaeus faith resulted in action that drew others to Jesus. First and foremost, we need to understand those who are lost many times recognize they have an empty space in their heart but they don’t know what is required to fill that space. It is like a magnet passing over a pile of paper clips. If it passes close enough one of the paper clips will be attracted to the magnet. Interestingly, as the closet paper clips are attracted, others will be attracted to the magnet through those paper clips. If the magnet remains static just out of magnetic reach it is unlikely any paper clips will be attracted to the magnet. Today the world is moving further away from religion so it is less probable people will “come to church.” As Christians we have to be like Jesus. In other words the paper clips are moving further away from the magnet. The solution is not to try and build a stronger magnet but to move the magnet closer to the paper clips. We need to pray that the Father will reveal His will to us. Remember in the story there were many people present but Jesus took note of a specific person. Jesus knew who He would encounter and He knew how that person would respond. Remember just before the encounter with Bartimaeus Jesus was met by the “Rich Young Ruler” who went away sad (Luke 18:18-27). Like Bartimaeus the Rich Young Ruler knew he needed something. Like Bartimaeus the he knew Jesus had the answer but chose not follow Jesus because the cost was too high. Bartimeuas responded differently. When Jesus got close enough Bartimaeus persistence resulted in a life changing miracle and because of the miracle others were drawn to Jesus. In the case of the magnet and paper clips not all of the paper clips are attracted to the magnet but the magnet has to pass close enough to attract paper clips. Jesus set the example by going out. People were attracted to Jesus and while some did not respond others did and it had a dramatic effect. Jesus went out, He didn’t wait in the synagogue for people to come to Him. Bartimaeus would never have been healed and others would not have been drawn to God had Jesus simply waited safely in the synagogue. Jesus knew who would be encountered along the way and He knew their response but He still went out. Some didn’t respond, but others responded in a way that brought glory to God and drew more people into His presence. Remember, the presence of God through the Holy Spirit will attract some but repel others. Be aware! Be ready! Go out ready to be God’s magnet in a world that needs Him desperately. Sunday School, Worship Service, Hmmm! The rage lately on college campuses is to create a “safe zone” where group think prevails in curtailing speech that is deemed offensive. The notion of personal responsibility, moral standards and consideration of others has given way to self-absorption, self-gratification and self-exaltation has resulted in suppressing descent of any kind at all costs. Where did this come from? How did it start? Perhaps we can look at Christian practices as an example. Reading one of my favorite Christian devotionals there was a statement that stopped me dead in my tracks. The writer lamented: “I wonder if church seems more like an exclusive club than a safe haven for forgiven sinners.” This statement literally shocked me. Since when has the church (ekklésia – those God has called out of the world) become an exclusive club or a “safe haven” for forgiven sinners? Since when has the church (God’s people not a building, religion or organization) become an introverted “safe zone” for Christians. How has the expression of Christian faith become a “Sunday Morning Safe Zone” for believers? Over time Christians have become more interested in socializing than evangelizing, more concerned about learning than practicing what they have learned and the results are evident. It is easier to invite someone to church than confront them with the good news of the gospel. It’s easier to shun behaviors that offend us than demonstrate compassion and forgiveness as did Jesus. That being the case church has become a place where people commiserate in “Christian” group think antipodal to that of the “Safe Zone” group think out in the world. Both result in isolation and condemnation of others the only difference being polarization. I can’t tell you how many times I’ve heard the statement; “I can’t wait for church on Sunday. I running on empty. I need to be with the people of God (code for people who think like me)…” Today “church” has become about buildings and programs, status and position, socialization and comradery, education with no accountability and identification with no action resulting in introversion, isolation, arrogance and condescension. While no Christian sets out to become any of those things it has happened none the less. It happened during Jesus’ time and it’s happening today. In Matthew 28:19 Jesus commanded that we “go therefore and make disciples of all nations” and in Luke 12:12 He told us “the Holy Spirit will teach you in that very hour what you ought to say.” Corporate worship of the Church should be an explosion of expression exalting God for what He done all week. It must not be a safe zone where believers commiserate on how terrible the world. In order to better understand this let’s dig deeper into the passage in Luke 18 which describes two men. Both the Pharisee and the tax collector were in “church.” Both prayed. One spoke a highly educated religious prayer of arrogance, condescension and condemnation while one examined his own sinful nature declaring his unworthiness in God’s presence. One came to exalt himself, one came to beg for God’s mercy. One went to his house justified and one did not. How does the scripture in Luke relate to Sunday Morning Safe Zones? Jesus declared in Luke 12:11-12 there are no safe zones for Christians. “And when they bring you before the synagogues and the rulers and the authorities, do not be anxious about how you should defend yourself or what you should say, for the Holy Spirit will teach you in that very hour what you ought to say.” He commanded extroversion not introversion. He called on believers to go out and share their faith not come together to commiserate the worlds condition. Jesus viewed sinners with compassion, reconciliation and forgiveness while condemning religious arrogance, condescension and condemnation, so we must ask ourselves why we go to church. Do we see and condemn a world full of sinners or do we see ourselves as sinners who need God’s mercy and have compassion for those who have not experienced God’s forgiveness? Do we look forward to being bolstered in order to survive another week or do we burst with exuberance over what God has done during the past week? Do we trust in the education of man to keep us safe or do we trust God’s Holy Spirit in any situation? Do we rely on the comfort of a “Sunday Morning Safe Zone for Christians” or do we trust God to guide and support us in every situation, every minute of every day? “I will ascend to heaven; above the stars of God. I will set my throne on high; I will sit on the mount of assembly in the far reaches of the north; I will ascend above the heights of the clouds; I will make myself like the Most High. But you are brought down to Sheol, to the far reaches of the pit. ” Isaiah 14:13-15. From the “mount of assembly in the far reaches of the north…down to Sheol, to the far reaches of the pit” like lightning. But how could this be? How could one so beautiful become self absorbed so as to exalt themselves above their creator? God created Lucifer with the power of choice and he chose himself. God created man with the power of choice and man chose himself. The common thread is not the power of choice but the choice itself. When man sinned he made the same choice as the Lucifer, thinking he would be “like God” Genesis 3:5. When we decide to do something we know will displease God we have made the same choice thinking in our hearts; “I will ascend to heaven… I will make myself like the Most High.” But the result is always the same. God has given us the power of choice. Choose wisely! John the Baptist saw Jesus coming and exclaimed; “Behold, the Lamb of God, who takes away the sin of the world!” John knew the Savior immediately and responded accordingly. Later, as Jesus ministry became more evident he declared, “…this joy of mine is now complete. He must increase, but I must decrease,” but as time went on John found himself on the business end of Herod’s anger and wound up in prison. Prison in that day and age was not the same as today where prisoners are, for the most part, treated humanely. In the time of John the Baptist prisoners were subjected to inhuman treatment, starvation, exposure, beatings and general abuses we simply cannot imagine. John could have been in prison for nearly two years by the time he was executed and it must have worn on him greatly. These verses are often taught as a backdrop to garner monetary support of mission programs. Coming from a Baptist background I can’t tell you how many times I heard Matthew 9:35-38 taught during the Lottie Moon offering season. But, is this what Jesus actually meant? Did He want us to pray for God to call missionaries? Did Jesus want to spur us to give money to support others who feel called to be a missionary? Perhaps the Savior had something else in mind. When we stop at Matthew 9:38 we don’t have a complete picture of the salient point Jesus wanted to communicate. When Jesus said, “the harvest is plentiful, but the laborers are few; therefore pray earnestly to the Lord of the harvest to send out laborers into his harvest.” He was preparing the disciples for ministry. They had seen how Jesus traveled through cities and villages spreading the gospel. They’d watched as He healed, comforted and forgave and He was about to ask the disciples to become laborers in God’s harvest. Jesus gave them mutual support, authority, an audience and a simple message but He didn’t tell them to fund a foreign missions program or become a foreign missionary themselves. He also used that pesky verb “poreuomai” for “Go” in the “Great Commission” (Fear is not an Option the Parable of the Sower). He commanded them to ”proclaim as you go, saying, ‘The kingdom of heaven is at hand.’ (v7).” In other words the message was simple, the instructions were clear and the authority was God’s. While Jesus provided the covering, the method and the message He also provided a warning, “..if anyone will not receive you or listen to your words, shake off the dust from your feet when you leave that house or town…Behold, I am sending you out as sheep in the midst of wolves, so be wise as serpents and innocent as doves…you will be hated by all for my name’s sake. But the one who endures to the end will be saved. (v14,16,22)” Just like the parable of the sower, where seed fell in four different places but only seed that fell in one place produced fruit, not everyone will receive the gospel message. As a matter of fact some will be absolutely hostile to the gospel message resulting in persecution. Nevertheless, the command was to continue. In the parable of the sower there is no indication the sower ever stopped sowing and in the case of the harvest workers the message was to “endure to the end.” Now the disciples are aware of the identity of the “Lord of the harvest”, the identity of the workers, the mission and the mission’s operational parameters. Have you ever planted a garden and when things started to sprout wonder, “how did these weeds get in this garden? Didn’t I plant good seed here?” This is particularly true if you plant potatoes. When potatoes come up and start growing they just look like weeds and real weeds grow up among the potato plants which are difficult to distinguish until they begin to bear fruit. How chilling it is, in today’s day in age, to realize there are those who present themselves as apostles of Christ but are actually representatives of Satan himself. How do we know the difference? What are the warning signs? Christians must never assume someone to be Godly because they are popular, eloquent or charismatic. Democracy doesn’t imply God pleasing outcome any more than polls or popular opinion imply righteousness and “most people think” does not represent God’s Word any more than “scientific evidence” indicates the eternal truth of God. So what can we do to recognize Satan’s counterfeits? One way to identify deception is by observing direction. Jesus told us how to chose a direction and why in Matthew 7:13-14; “Enter by the narrow gate. For the gate is wide and the way is easy that leads to destruction, and those who enter by it are many. For the gate is narrow and the way is hard that leads to life, and those who find it are few.” Jesus continued in verses 15-17, “Beware of false prophets, who come to you in sheep’s clothing but inwardly are ravenous wolves. You will know them by their fruit…every good tree bears good fruit but the bad tree bears bad fruit.” We see this today with crowds flooding toward theology and political dogma under the direction of those who bear fruit which doesn’t measure up to God’s Word. The sad outcome here is the crowds will find out as their fruit reaches maturity they were fooled by a counterfeit? When it comes to recognizing tares and wheat, Christians must stay in God’s Word, pray fervently and trust His Holy Spirit to identify evil. If the largest crowd is on a wide path, heading through a large gate, odds are we need to turn around and start looking for a small gate with a narrow path. If we seek first His Kingdom and His righteousness it is certain the fruit which matures at the top of our stalk will be wheat and we will not be fooled by the darnel! In this parable the sower having gone out to sow, again Jesus used an active participle, began spreading seeds. One of the most interesting things about this scripture is the sower did not carefully pick the soil on which he sowed. It seemed as though he sowed indiscriminately, almost carelessly. Some seed fell along the road, some among the rocks, some among the weeds and some on the good soil. Today many would say he wasted seed and he should have been more judicious in targeting the location he intended to so. Perhaps some may imply the sower was foolish for wasting seed. I believe Jesus was making a very different point. What if Jesus intended to demonstrate that the sower sowed the seed everywhere? 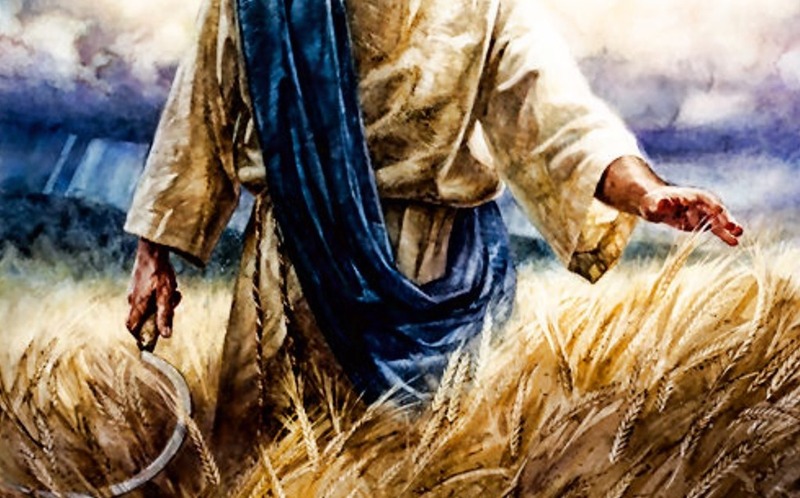 In His response to the disciples Jesus did not indicate all of the good ground was commonly located he simply noted that some “fell on good ground.” Jesus was making a point, the sower sowed wherever he could reach with the seed. Perhaps the sower didn’t know which ground was best, where the rocks were or where the weeds would come up. He was simply motivated to sow as much as he could sow in every place he could throw seed. Today, we have been instilled with a prodigious and paralyzing fear of failure. We analyze and fret fearfully over whether or not to share the gospel. We pine over who will listen. We’re afraid of the response. We’re afraid someone will reject the gospel. We’re afraid we will be rejected. So, often times, we simply invite people to church so the highly trained pastor can share the gospel with them. Few things are more disheartening than to hear a Christian invite someone to church. What a monumental cop out which is no doubt a deception of the adversary. What would please the evil one more than for Christians to believe they are fulfilling they responsibility to share the gospel by inviting someone to church. “But, they might come to church,” may come the reply. In reality, “probably not.” If they don’t come to church they may never hear the good news of the gospel. They may never be faced with the fact that their sin separates them from a Holy and perfect God leaving them doomed for eternity. The most telling thing is there are no commands in the bible to invite someone to church but there is a command to make disciples. “Invite them to church” is rooted in a man-centered conundrum called “fear of failure” but “Go and make disciples of all nations” is a command given by Jesus Himself. Let’s ask a question; “How many times have we heard the gospel invitation at the end of a sermon?” Shouldn’t we have memorized it by now? The gospel is simple, “For God so loved the world that He sent His only begotten Son that whoever believes in Him should not perish but have eternal life” John 3:16. “For by grace you have been saved through faith and that not of itself, it is the gift of God lest any man should boast” Ephesians 2:8. “Therefore having been justified by faith we have peace with God through our Lord Jesus Christ, through whom we have obtained our introduction by faith into the grace in which we now stand and we exalt in the hope of the glory of God” Romans 5:1-2. These simple verses have changed lives since the time they were written. They offer “love”, “eternal life”, “salvation”, “peace” and “hope”. 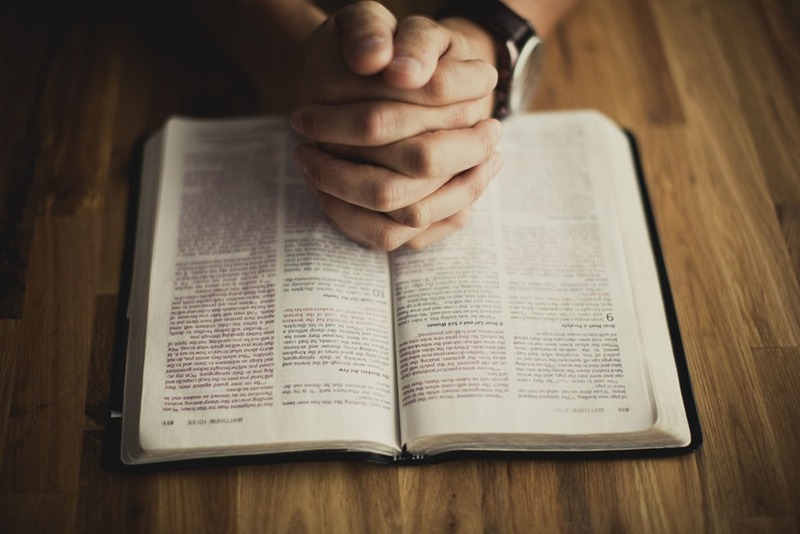 No theology degrees required, no special training, no special gifting or dispensation, simply a desire to spread the good news of the kingdom of God as Jesus commanded. Be a sower who went out to sow! Sow everywhere! Sow fearlessly! Degree is one of those words that is used to describe a number of different things, temperature, education or position. One thing all of these have in common is classifying things higher or lower based on some criteria. For instance, a boiling temperature is higher than freezing temperature, a doctorate is a higher level of education than a masters, a supreme court justice has a higher position than an appellate court justice. By nature we tend to classify things and justify our position according to our own perspective. 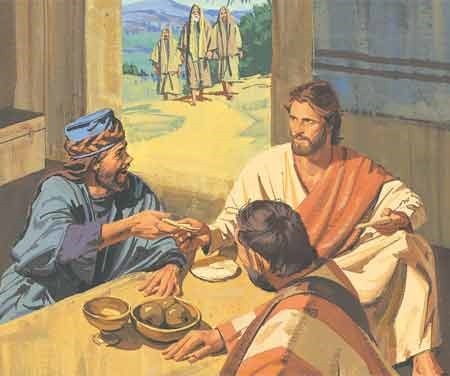 Notice Jesus pointed out Simon did not perform customary hospitality for Him. “You gave me no water or kiss” and “You did not anoint my head” are telling statements. Other Pharisees would have been offended had Simon not done those things for them and, because there were others at the table, the implication is Simon may have followed the customs for them but not for Jesus. Simon saw things in degrees, himself as the “clean,” highly educated lawyer and Jesus as one who claimed to be a teacher but indulged sinners like the woman. In other words, self-exaltation caused him to miss the degree of his own sin and I believe we as Christians sometimes engage in the same practice. Our human nature drives to compare degrees of sinfulness forgetting the tiniest thing we do to displease God would separate us from Him eternally apart from the forgiveness that Jesus provided for us. The question is, “what drove this sinful woman to enter the house of a Pharisee where she knew she was unwelcome?” Jesus gave a clear answer, “for she loved much (v47).” Her tears demonstrated her sorrow with her own sinful nature and her actions demonstrated her love for the Lord. Do our sins break our heart to the degree we bath the Saviors feet with our tears? Do we love Jesus more because we recognize how much He has forgiven us? Do we ever allow our position in the Kingdom of God to become arrogance to the degree we condemn others without examining ourselves? Do we ever loose sight of the fact that we need God’s Love to love others? May our love for God and recognition of our own sinful nature drive us to maintain a position of forgiveness never forgetting there are degrees and degrees! Following the Sermon on the mount Jesus began teaching His disciples concepts that were foreign to their cultural upbringing as Jews. He used a teaching with which He knew they would identify, “You SHALL Love Your Neighbors (Lev 19:18), and hate your enemies (Duet 23:6)” Matthew 5:43. The disciples nodded and agreed with vocal signs of approval but Jesus proceeded to turn their theology upside down. I can only imagine the letdown as He continued to instruct the fisherman, tax collectors and physicians, “But I say to you, Love your enemies and pray for those who persecute you, so that you may be sons of your Father who is in heaven. For He makes his sun rise on the evil and on the good, and sends rain on the just and on the unjust” Matthew 5:44-45. They gasped with wide eyes and hands held out as they grumbled, “what the heck?” in Aramaic or Greek. Now the disciples sat completely taken back as Jesus continued, “For if you love those who love you, what reward do you have? Do not even the tax collectors do the same? And if you greet only your brothers, what more are you doing than others? Do not even the Gentiles do the same? ” Matthew 5:46-47. Wait! What? “But our enemies hate us!”, they grumbled but Jesus persisted, “You therefore must be perfect, as your heavenly Father is perfect” Matthew 5:48. This teaching forces us to think about those whose political ideology is so evil we can’t imagine how God could bless them but Jesus was clear, “For He makes his sun rise on the evil and on the good, and sends rain on the just and on the unjust.” As Christians we must accept what Jesus teaches as truth though our human nature wants so badly for that not to be the case. Furthermore, the truth of Jesus’ words is inescapable and we are to “Love our enemies and pray for those who persecute us” as He taught His disciples. The thought was foreign to the disciples culturally and it is foreign to our human nature. As we watch the news and see the hate and vitriol directed at Christianity we must push aside our desire to be angry, get down on our knees, ask God to give us His Love for those who hate us and pray for those who persecute us for our faith. “Why does your Teacher eat with tax collectors and sinners?” The Pharisees asked His disciples in Mark 2:16. The response is telling about our generation today and how we respond to sinners. The scribes, Pharisees and Jewish people in general had a disdain for tax collectors and particularly those who were Jews. Note the special distinction between tax collectors and sinners. The delineation is clear in companion passages in both Mark and Matthew. Tax collectors were considered even worse than sinners. Tax collectors were though even worse than sinners and considered cheats, liars, shakedown artists and extortionists who were allied with the Romans. They broke every rule in the book, so to speak. How do we as Christians view sinners? Are we like the scribes and Pharisees? Do we view sin according to our rules? Do we disdain those who are deceived by the evil one? Do we apply our cultural prejudices to those who don’t measure up to our standard? Do we exact judgment based on the tradition of man? How do we feel about homosexuality? How do we feel about adultery? How do we feel about those who sell and take drugs or consume alcohol? How do we feel about those who do not have the same Godly moral compass? These are real questions to consider. Is our heart hardened to those we consider sinners as was the heart of the Pharisees? Or, do we feel compassion for those who are caught up in sin as does Jesus? I can’t tell you how many times I’ve heard the old saying, “you don’t smoke, drink and chew and you don’t run around with the boys that do.” That statement actually does have biblical roots. In 1 Corinthians 15:33 Paul extorts the listeners, “Do not be deceived, ‘Bad company corrupts good morals.’” So there it is, you don’t hang around with sinners. Right? It all depends on motive and focus. Jesus did not call the sinners to come to Him he went and ate with the sinners (which was a huge religious no-no in that age). He ate with them but His desire was not to be included in their sinful behavior but call them out of it. Jesus was bathed in prayer and often retreated to be with the Father. In John 5:19 Jesus said “Most assuredly, I say to you, the Son can do nothing of Himself, but what He sees the Father do; for whatever He does, the Son does in like manner.” Jesus’ desire was to call people out of sin. His motive was to see mankind reconciled to God. He knew very well the people He dined with sinners where they were but His goal was to demonstrate God’s grace and forgiveness rather than ostracizing, isolating, excluding and avoiding those who didn’t measure up to the religious standard. The question for we evangelicals is; “How do we measure up apart from Jesus?” Do we see people as sinners as lowlifes who are worthy to be ostracized, isolated, excluded and avoided because they don’t measure up to our religious standard? Or do our hearts break that they are dying in sin apart from the wonderful love of God through Jesus Christ?